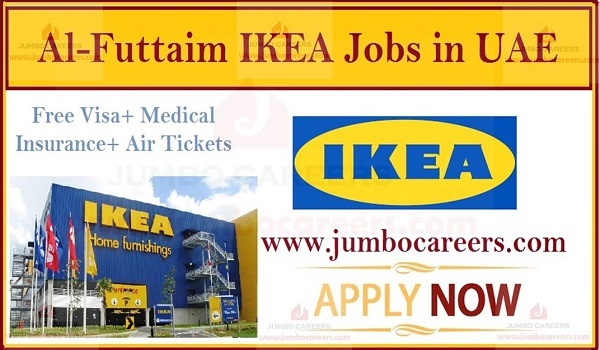 Al-Futtaim group UAE which holds the franchise rights for IKEA UAE hiring experienced staff for IKEA Dubai urgently. Its a free and direct recruitment by the company. About Al-Futtaim& IKEA UAE: As a humble family business that started on the banks of the Dubai Creek in the 1930s, Al-Futtaim has expanded to a presence in 31 countries, a portfolio of over 200 companies, and 42,000 employees.